Today is Thanksgiving Day in the United States. Despite the difficult year, I have much for which to be thankful. One of them is you! I am thankful for my readers, whether you visit once or on a regular basis. As regular visitors know, 2016 has been a difficult, complicated year for me and I have not been able to read and comment on other blogs on a regular basis, as good bloggers do. Despite that, I have now surpassed 800 followers. Thanks! I so appreciate your support. I wish everyone a wonderful day, whether it is a holiday for you or not. All days are better with gratitude and thanksgiving. I’m happy to announce that I now have 700 followers at Top of JC’s Mind! Of course, the usual caveats apply. Some people get counted twice if they follow my page on Facebook as well as following on WordPress. Or if they follow my twitter. Or also subscribe directly by email. I also know that there are people who read my posts without being official followers. I am sometimes taken by surprise when a friend will mention something that they read in one of my posts. It’s a reminder that followers and readers are not the same thing. While I know that only a small fraction of my 700 followers read any particular post, there are readers who are not followers who read every post I put out. Whether you are a follower, a regular reader, or someone visiting Top of JC’s Mind for the first time, thank you so much for sharing in my blog. I couldn’t do it without you! 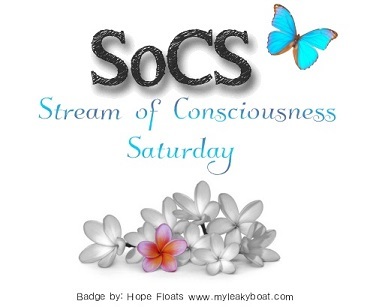 Author Joanne CoreyPosted on February 20, 2016 Categories blogging, musings, Stream of Consciousness SaturdayTags blog, followers, Joanne Corey, milestone, post, record, SoCS, Top of JC's Mind10 Comments on SoCS: 700! The posts are here and here and here and here and here and here and here and here and here, with a Binghamton Poetry Project anthology post with three new poems from this last session here. Author Joanne CoreyPosted on November 22, 2015 Categories blogging/writing, poetryTags anthology, Binghamton Poetry Project, followers, MASS MoCA, milestone, poem, poetry reading, poetry workshop, poets, thanks, Tupelo Press7 Comments on 600!